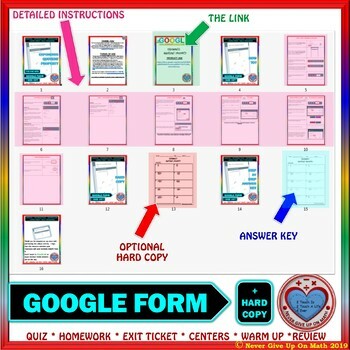 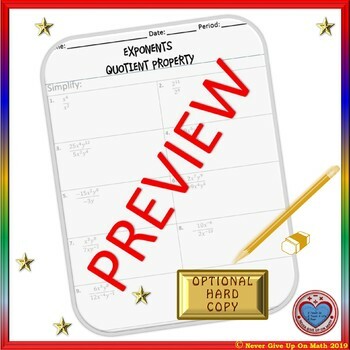 ✐ This 10 questions (MULTIPLE CHOICE) product is a NO PREP & SELF GRADING 100% EDITABLE (EXCEPT FOR THE IMAGES) activity that will assess students understanding in how to simplify using Quotient Property of Exponents. 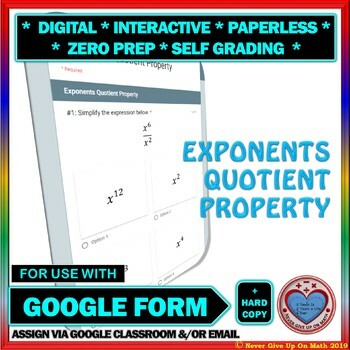 My Algebra I students have appreciated this quick quiz as it helped them to assess their understanding of using the Quotient Property of Exponents before moving on with other properties. 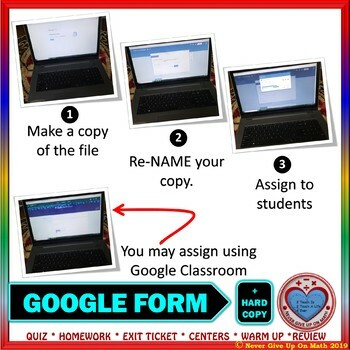 An Answer Key is included in this product.